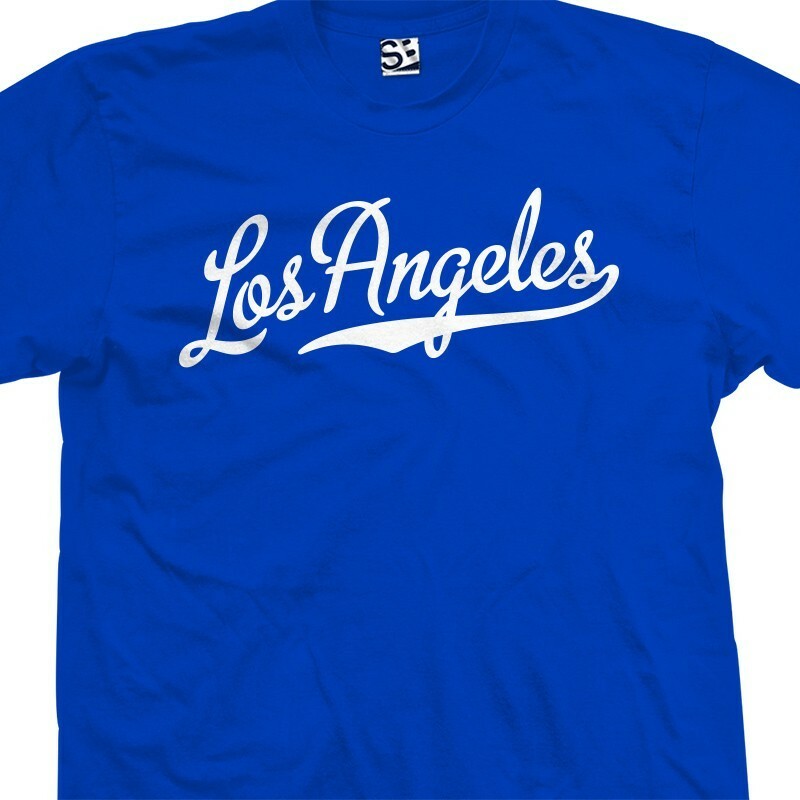 Represent L.A. with your own Los Angeles Baseball Script shirt. Personalize the back with baseball style Name and/or Number. Comes in multiple print and shirt colors and is available in almost every size imaginable.